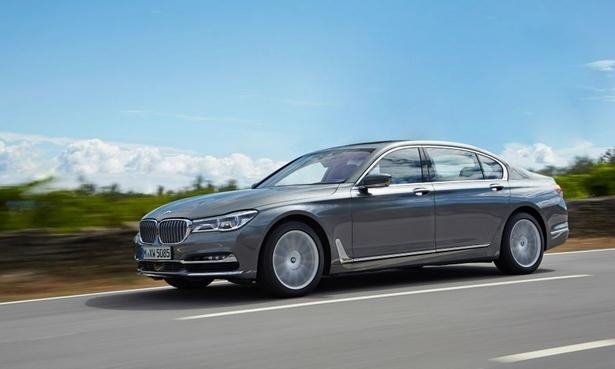 The 7-series is 290 pounds lighter than its predecessor and the carbon core is a key to the weight reduction. 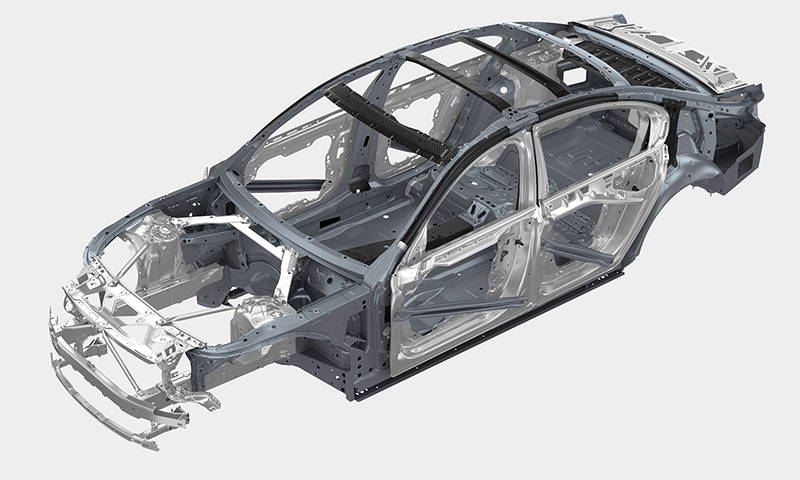 It uses carbon fiber reinforced plastic and high-tensile steel for the B-pillars and other key areas. 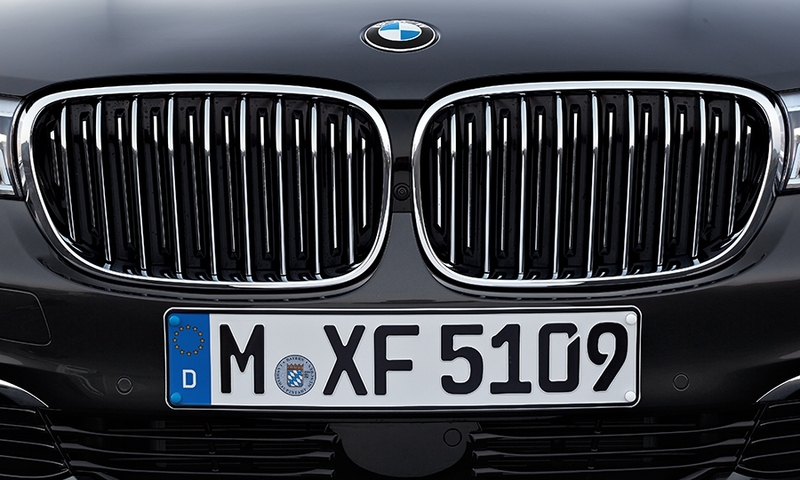 The new grille opens when additional air is needed for cooling the engine. When closed, it improves the car's aerodynamics. Hand movements can be used to adjust audio volume and adjust or reject phone calls. A two-finger gesture can be customized, for instance, to tell the navigation system "take me home." 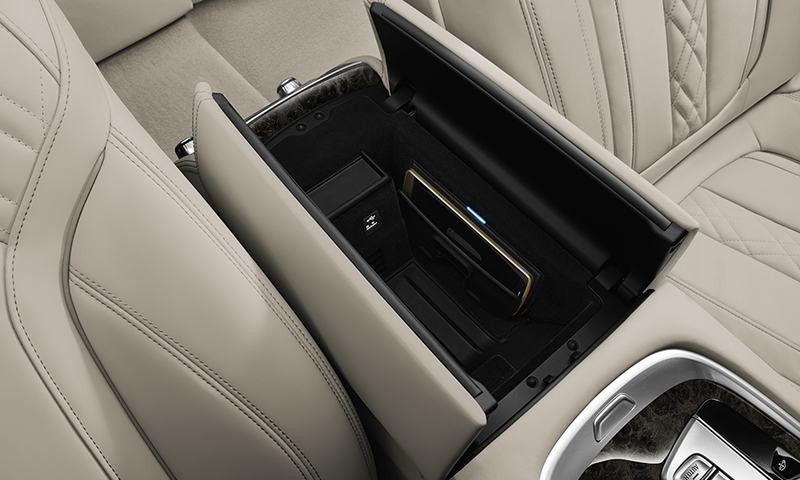 A holder in the center console that allows cell phones -- most Android phones and iPhones with a special sleeve -- to be charged wirelessly. 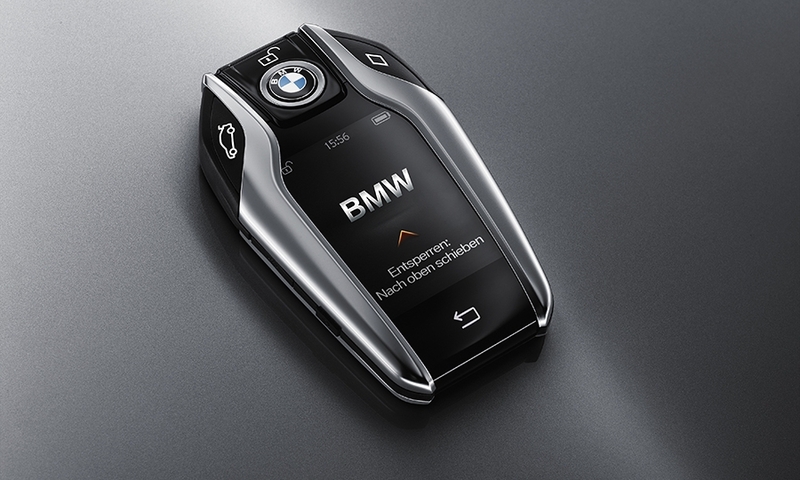 The key has a full color screen with Gorilla Glass and can be used to control car functions, lock doors and monitor fuel levels. It has a backup battery and can be charged wirelessly in the car. A light pattern is produced by the LEDs incorporated into the side skirts when the doors are opened for better visibility in the dark. 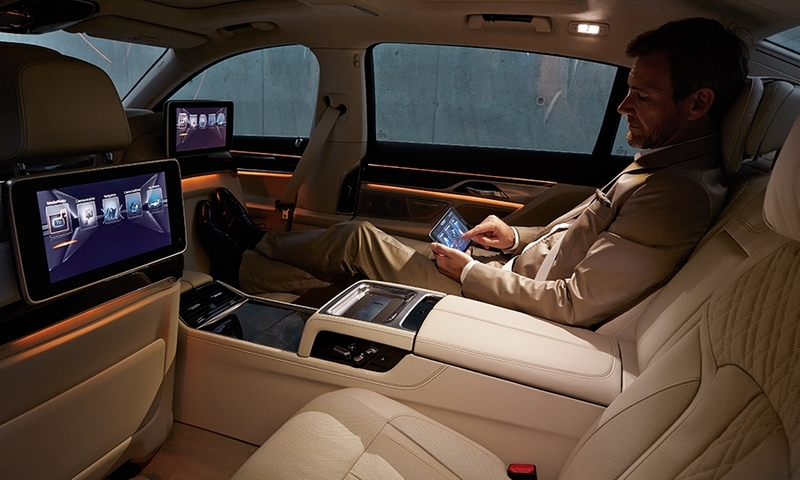 The tablet lets passengers adjust seats, interior lighting, air conditioning and infotainment as well as stream information and movies from owner/passenger accounts using the vehicle's WiFi. 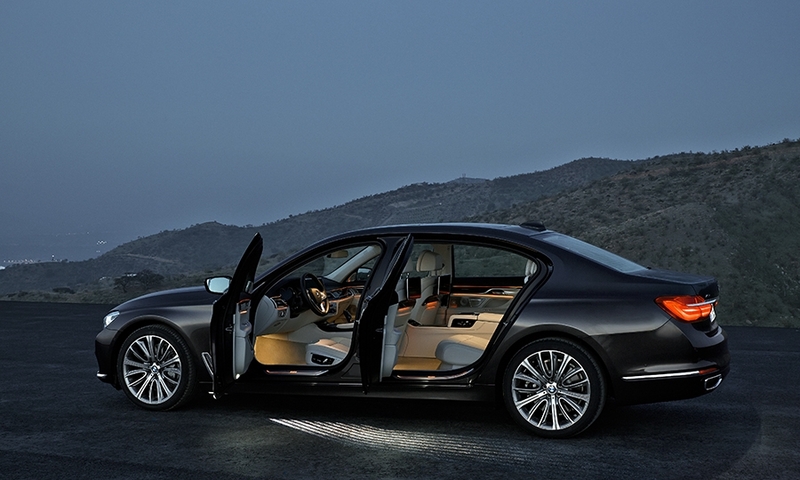 Our picks of what stands out in the BMW 7-series.